Do you hide in the corner rather than go flirt with the hottest girl at the party? Get your friend to scope out the lay of the land to see if she’s interested rather than send a confident smile in her direction and let nature run its course? Do you spend the evening flirting with a woman only to watch confused as she leaves with another guy who only walked in ten minutes ago? You’re not alone. New research suggests that “only 18% of women can tell if a man is flirting with them.” In fact, the mail has recently reported that both men and women are terrible at flirting and should simply “abandon attempts at subtlety.” Online dating sites make this a lot easier to accomplish, as unlike at a bar or a club, at least we all know why we’re on a dating site, to attract a date! Arguably, it should be easier to flirt and be flirted with here than anywhere else. So take a deep breath, and follow our top 5 flirting tips for online dating. Probably the biggest mistake when online dating is skipping the profile build in favour of browsing through the singles right away. Be patient! Your matches aren’t going anywhere, and you’ll have a much better chance of getting their attention if the first impression is right. In online dating terms, your first impression is your profile. Greeting someone with a bare profile is the same as walking up to a girl in a bar wearing your pyjamas or without taking a look in the mirror. You’ll make an impression, but probably not the one you want to make. Fill in as much of your profile as you can, including the more descriptive open ended boxes where you can show some personality. 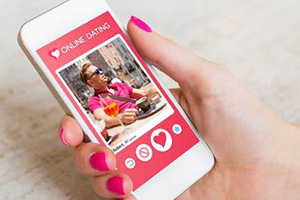 Doing this will not only give people a chance to get to know you, but make you more visible in the search results when singles are looking for someone exactly like you. An important part of building a profile is uploading some great photos to show both what you look like and what kind of person you are. Research from top online dating site Zoosk​ has shown that trends for 2015 are changing fast. Their best advice for photos is to skip the mirror selfies and take varied shots of yourself both indoors and out, doing the things you love, and including one with family or friends. You’ve laid the groundwork, and you’re both in the right place for some serious flirting. Now to send that great first message which is guaranteed to get them smiling and excited to respond. We love this advice which suggests you find out what you have in common, and then ask them about it. Commenting on what interests you share shows you’ve taken the time to read their profile and that you’re interested in more than just their photos. Asking them a question sounds simple, but so many people just send a generic compliment! A question shows you care what they think, and are looking for a conversation rather than a quick hook up. Don’t feel pressured to be funny, but don’t be afraid to show a sense of humour either. Once you’ve hit it off over inbox message or IM, take things to the next level by trying out other options on the site. eHarmony for example has a great secure phone line service, while Match.com allows you to chat via webcam directly from the site. Don’t be afraid if it feels a little awkward at first, as it often can when you’re moving from written message to spoken word. After all, you’re used to having time to think of a clever or witty reply, and now you have to learn to relax and just be yourself in ‘real time’. Have a story about your day or something interesting or funny you’ve heard as a back up in case you need to fill any awkward silences at first, and remember our earlier rule, you can always ask a question. It can feel so comfortable chatting online that you miss the right time to organise an offline meet up. Don’t let things get too friendly for too long, remember that other people will be messaging them too and may be quicker off the mark than you at getting a real life date in the diary. If you’re local, suggest a quick coffee during your lunch break or a after work drink one evening. If you’re more long distance it takes more planning, so take a deep breath and do it. Arrange a mutually convenient place to meet up over the weekend, and perhaps swap phone numbers so you can text and chat in the lead up to the big date. Not sure which website to choose to practise your new flirting skills? Try our useful and handy comparison chart.